I recently attended Maker's Faire in New York City - an amazing amalgam of the crafty, techy, geeky and cool all mixed together in a glorious swirling goo with Mentos (for some reason). Yes, there was a life-sized version of the game Mousetrap, along with a demonstration of the Mentos and Coke Zero folks (I could have swore they originally used Diet Coke). As a result, I learned about nucleation. Fantastic. One outstanding feature of the festival was the prevalence of 3D printers. These magnificent tools are becoming more accessible to the common consumer - some even dipping below $500. For the price of an iPad, you too could be printing in 3D. What exactly does that mean? The main thing you need to understand is that 3D printing is really cool and will soon be much more common. Here are the first five things I would build with my 3D printer. Legos are amazing, but sometimes a piece is missing. Or sometimes the pieces don't quite fit with your imagination. 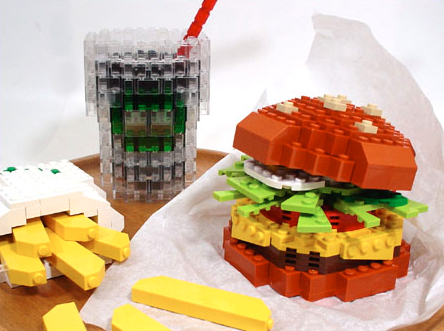 Lego gets to make custom pieces all the time. Think about all of those Star Wars collections - they didn't just happen to have the right windows for a Tie Fighter! I want my own custom pieces so I can build whatever I want. Maybe I'm in the mood to make a Matrix-themed set and need to construct some squiggly robot worm things. Or perhaps I want to build a replica of Mike Tyson's Punch Out and need a good King Hippo curve. I hate compromising! I have yet to find a chess set that really satisfies me. 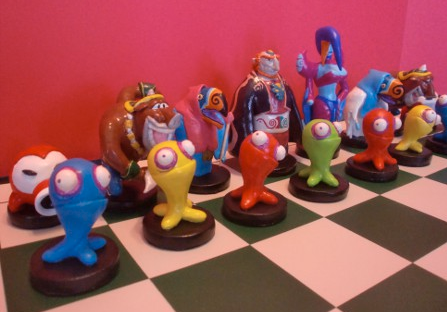 Some may claim that my faulty playing is to blame, but I would rather imagine that the perfect chess set would facilitate a sense focus that I'm seemingly missing. I want to make a chess set that only has characters from my own set of pop culture and historical knowledge - not a single theme, or rather, the binding theme is me. That would be awesome. 3D printers were built for optical illusions, right? 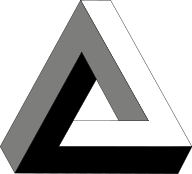 There have to be some awesomely impossible objects that can be created and shared as a result of this machine - such as the Penrose Triangle or anything by M.C. Escher. I love little sculptures that use the surface as water or some other substance. Not only would I make Nessy, to have dipping into my desk at work and out, to the bafflement (is that a word?) of children everywhere. I would also make Portal-themed figurines that I can glue to random walls, floors or ceilings as a visual treat for gamers. Don't you want to become a super hero? I would love to have a representation of me (or at least my head attached to Superman's body) that I can pair with the X-Men, Spawn and Moss Man to fight evil on my bookshelf. A super-(to)p would be an excellent conversation starter with the common geek. "What comic book character is this?" "Oh, that? That's me. 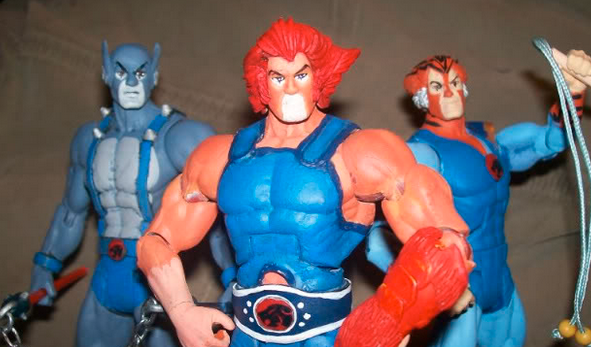 Yup, I'm that special that I have my own action figure." What would you make with your 3D printer? Kids can get started creating this summer in our 3D printing camps!